I LOVE Fleece Artist Blue Face Leicester Aran yarn! It is such a soft wool and very nice to knit with. This was a quick and fun pattern, but the kid sliver thrumming made a mess. One complaint I have heard about this kit is that there is not enough roving for all of the thrumming. 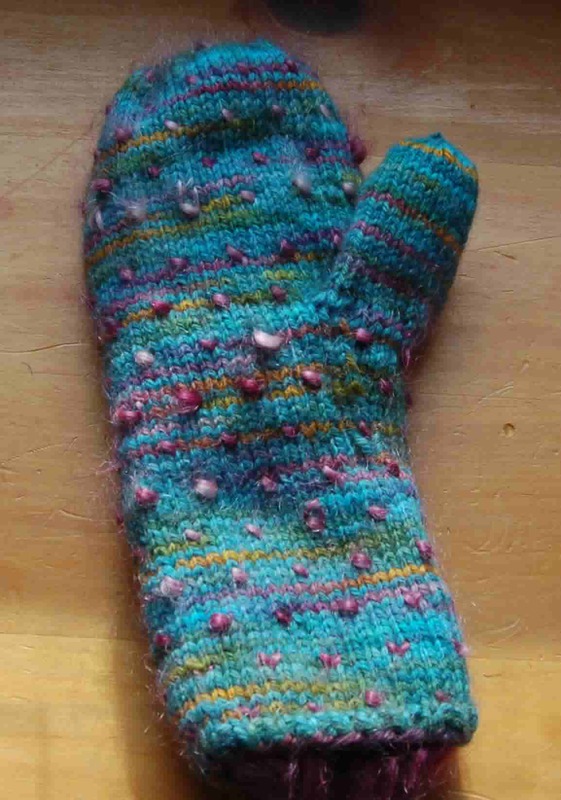 Here is my experience: I have made thrum mittens before, so I knew to make my roving pieces thin to keep the mittens from becoming too bulky. I made the largest size mitten and did not run out of roving. I cut the roving in 4 inch lengths and split each section into 32 pieces. As you can see with the inside picture above, the mittens had plenty of fluff! I definitely will be making more of these. Comments: I liked the nice long cuffs and loved the yarn! found your blog post on Ravelry. 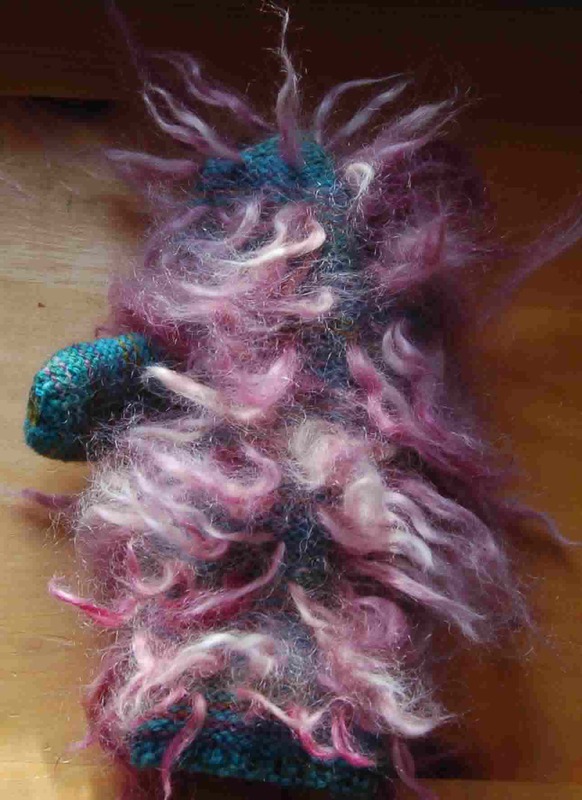 Thanks for leaving some comments on how to separate the roving. I will have lots left over and they are immensely fuzzy on the inside. Mine are "marina" but I love yours as well.